Join us as we talk about natural remedies for kids! In this episode, Aglaée continue interviewing her birth doula and naturopathic doctor, Dr. Shivaune Wright, to learn more about natural ways to care for your little ones and the whole family. We also have an important discussion about the role of fever that you will not want to miss! Be prepared to learn a lot and make sure you grab your pen and notebook to take notes on how to build your own natural medicine cabinet. Join us as we talk about postpartum weight loss! Stephanie and Aglaée understand the physical, mental, and emotional struggles surrounding postpartum body image and weight. Every mom is different and will experience this transition in their own unique way. On this episode, we break down myths about breastfeeding and weight loss, discuss hormonal implications for weight loss, share our personal stories, and provide strategies for healthy postpartum weight loss. Great read: Why Didn't I Lose Weight While Breastfeeding? Join Stephanie Greunke, MS, RD and Aglaée Jacob, MS, RD as they share their latest updates and adventures with co-sleeping. If you're feeling alone in your struggle to get sleep as a new mom or are second-guessing your choice to co-sleep, you won't want to miss this episode. Stephanie and Aglaée discuss their personal struggles and experimentation with various infant sleep methods. You'll learn sleep strategies that work the best for them, which result in less tears and more sleep for the entire family. 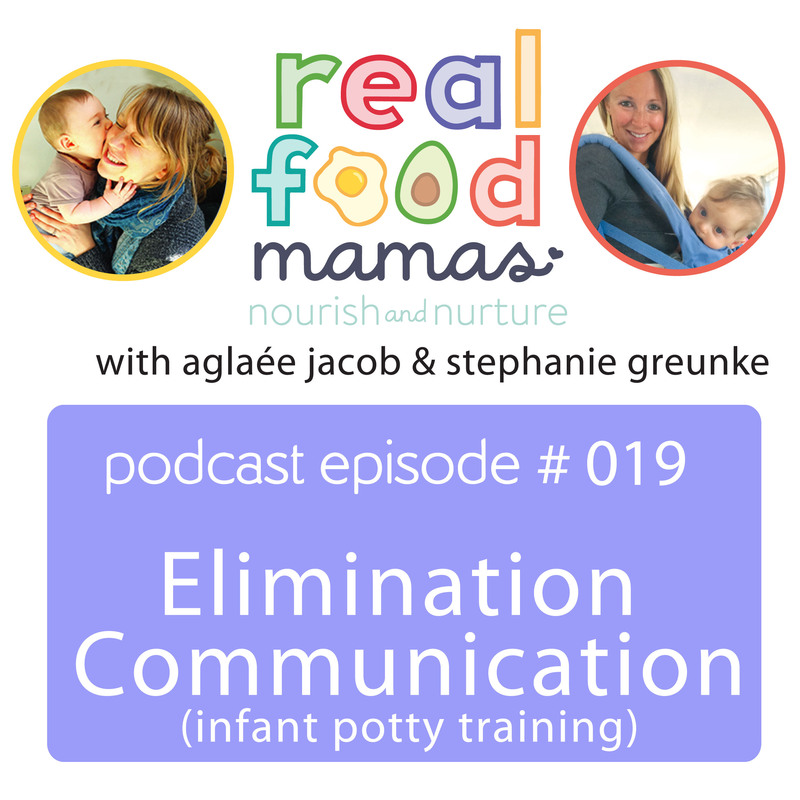 Join us in this episode as we learn more about EC (Elimination Communication) or infant potty training. Did you know that children are now in diapers until the age of 36-38 months today while they used to be potty trained before the age of 18 months back in 1957? Elimination communication is a gentle way to help your baby and toddler not only learn about how to get rid of diapers more quickly but most importantly to empower him or her to better communicate about the basic need to eliminate. 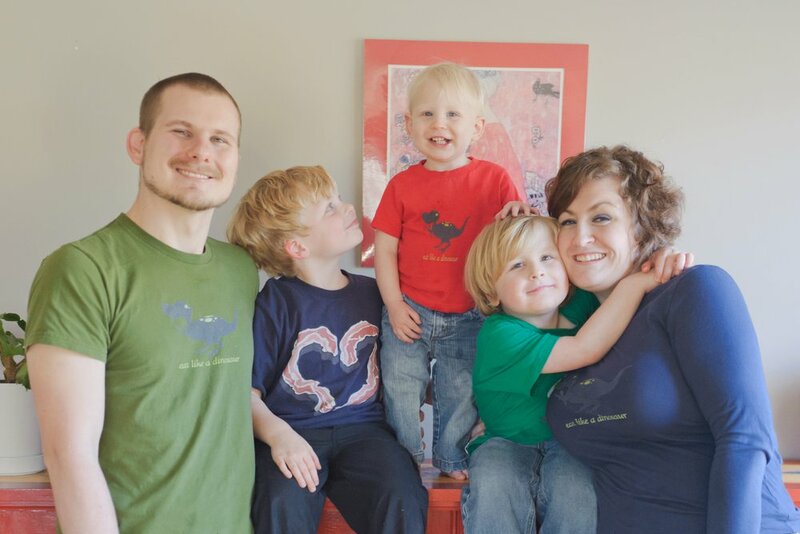 Listen to our interview with Andrea Olson, a mom of 3 and an expert on the topic, to see how you can incorporate EC in your life. Andrea Olson's bio: Andrea Olson, M.A., is a pioneer in helping parents reduce diaper dependence with any age child or baby, from birth through toddlerhood. She has her Master’s Degree in Psychology and presently lives in Asheville, NC, with her husband and children. She is author of three books: Go Diaper Free, a simple handbook for elimination communication for 0-18 month babies, The Tiny Potty Training Book, a simple guide to non-coercive potty training for toddlers 18 months and up, and the new Tiny Potty board book for children 6 months and up. She also created and sells a line of small children's underwear to support EC and early toilet training, called Tiny Undies. [20:54] What does it mean to be potty independent and potty trained? Core and pelvic floor health is something that is often not considered during their pregnancy; however, during the postpartum period mom’s may notice that they still look pregnant, experience a little leaking when laughing or working out, or have pain in their back or lower body. It’s really important to address these issues to feel your very best! Wendy breaks down this complex topic and provides practical tips and inspiration. This is a must listen for pregnant women and women in the postpartum. Even if you don’t think you’re dealing with core or pelvic floor issues, you’ll want to tune into to understand how you can reduce or prevent problems in the future. We know you’ll love Wendy’s positive and empowering message! Wendy is an expert in postpartum and postpregnancy exercise, and after working with thousands of women who suffer from Mummy Tummy (aka pregnancy belly and weak pelvic floor), she realized how misinformed most of them were, specifically when it came to exactly how their abdominal muscles change as a result of pregnancy. Which is why helping women to not only look and feel fabulous, but also to be strong, pain-free, supple and fully functional, continues to be her inspiration and motivation. 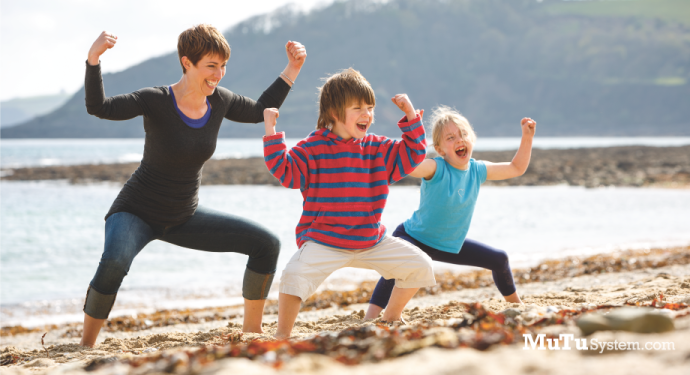 Medically endorsed MuTu System is a 12-week program with a whole-body approach to alignment that can help help all moms, new and old, rebuild a foundation for a strong core with natural activation, a healthy pelvic floor, and will get them on the road to achieving their pre-baby body. 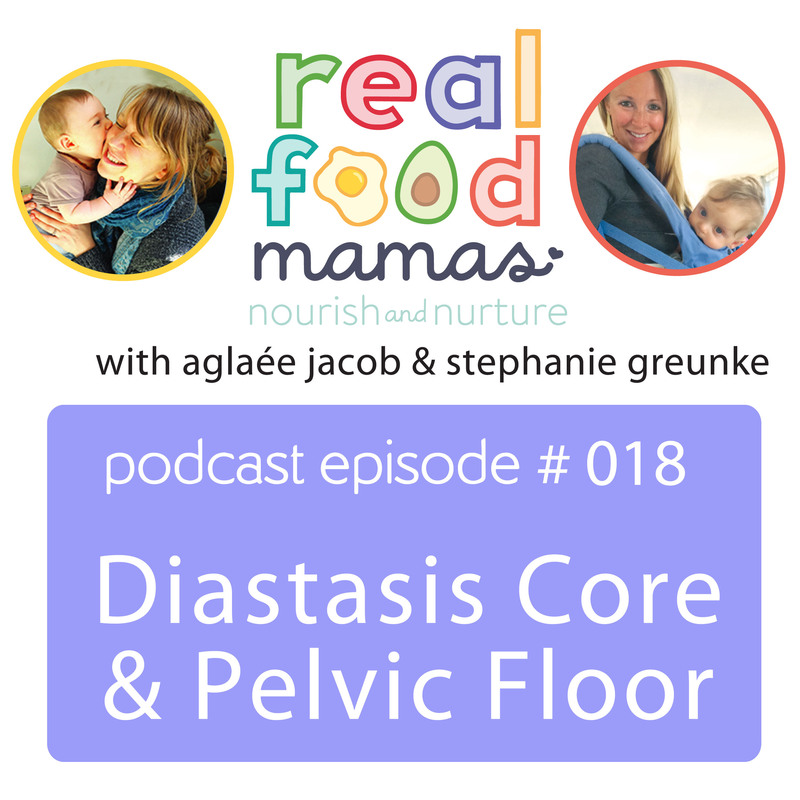 Wendy Powell talks about diastasis recti, core, and pelvic floor health. [20:05] The differences between what is common and what is normal. The deal with urinary incontinence postpartum. Join us as we talk about fun, simple and creative way to nourish you baby and toddler. In this episode, we discuss food introduction, the differences between feeding an infant and a toddler, fun feeding products, tips and tricks for dining out, preventing fussy eaters and Rochelle's 3 top tips for successful infant & toddler feeding. For more about Baby-Led Weaning, we also suggest you have a listen to episode 014. 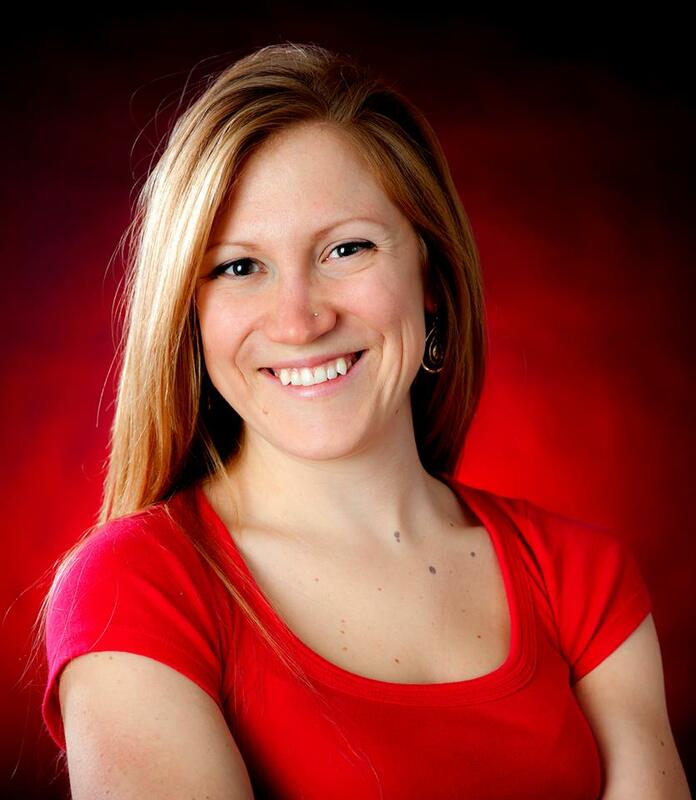 Rochelle's bio: Rochelle Serna is a nutritional therapist with a background in child & family development. She combines ancestral nutrition, the newest science, & a holistic approach to provide nourishing tools for natural fertility, pregnancy, & healthy babies. I'm not sure why people insist on telling me that I'm denying my son experiences, or that he'll sneak candy & junk food behind my back as soon as he's old enough to do so (saying it in a tone to hurt me?). By educating & implementing healthy eating practices with my son I am not depriving him. In fact, I'm giving him a gift. Not only will he be set up with the building blocks for a lifetime of health, but he will be able to make informed & educated choices about the food he eats & the way that he cares for his body for the rest of his life. He will have many, many wonderful experiences. He will taste many incredible foods. He will be given autonomy to choose what he wants to eat & do, & I will have the knowledge that he is not doing so blindly. Join us as we discuss everything about gestational diabetes with Lily Nichols. In this episode, you'll learn about what it is, if you're at risk, the screening options, nutritional ketosis, why the conventional nutritional guidelines for gestational diabetes fail and how to eat to prevent and better control gestational diabetes. Don't miss out on this very important information because your blood sugar levels have a tremendous impact over your health and that of your baby. Be sure to share this podcast episode with any of your pregnant friends to raise awareness about the most effective and natural method to manage gestational diabetes. 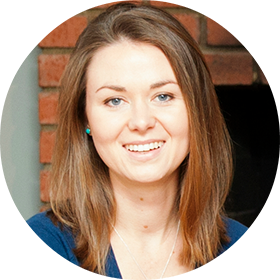 Lily Nichols is a Registered Dietitian/Nutritionist, Certified Diabetes Educator, Certified LEAP Therapist and Certified Pilates Instructor whose approach to nutrition embraces real food, integrative medicine, and mindfulness. Her popular blog, www.PilatesNutritionist.com, explores a variety of topics related to real food nutrition, digestive health, and pregnancy. 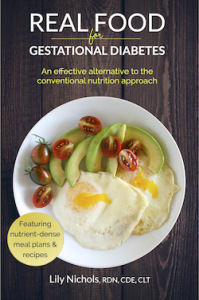 Lily's book (and online program of the same name), Real Food for Gestational Diabetes, is the first to advocate for a nutrient-dense, lower carb diet for managing gestational diabetes. [15:24] Why the conventional nutrition approach for gestational diabetes doesn't work? [21:31] Where does the mysterious 175 g of carbohydrates come from? [39:45] Is drinking the orange sugary drink dangerous during pregnancy? Join us as we discuss baby-led weaning and answer your questions about infant feeding! You'll find out when the best time is to introduce food, the benefits of baby-led weaning over traditional pureed food, the best first foods and foods to avoid, the science of and how to deal with choking and gagging, introducing allergens, how much to feed, how to manage solid intake with breastfeeding and formula, and more! Whether you are still waiting on introducing solid food or are currently introducing solids to your baby, you won't want to miss this informative and entertaining discussion! Dr. Jennifer Salib-Huber is a naturopathic doctor and registered dietitian who has been in practice since 2004. 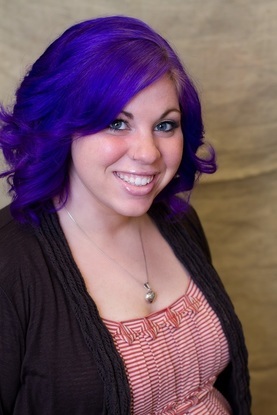 She works with patients of all ages, and especially loves working with women and children. While getting ready to introduce solids to her eldest daughter in 2008, she stumbled on Baby Led Weaning and successfully used the method to introduce all three of her children to food. 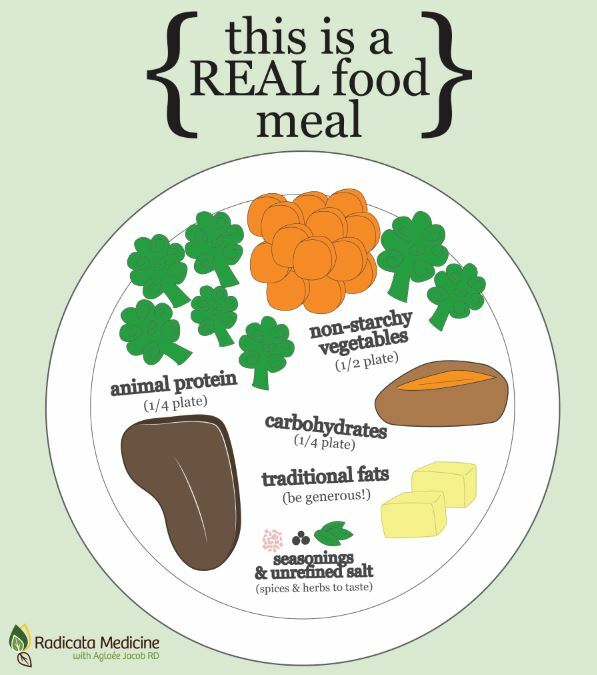 She has facilitated workshops in Halifax and Dartmouth, Nova Scotia, since 2010 and loves introducing parents to this “real food” method of food introduction. Join us as we talk to Dr. Alessandra Wall, a licensed clinical psychologist, who specializes in helping new parents not only survive, but THRIVE! If you’re feeling overbooked, underwhelmed, and out of focus you’ll enjoy Dr. Wall’s suggestions on how to create a more balanced, fulfilling life for you and your family. Many people want balance, health and a sense of control over their lives, but aren’t sure where to start or what they should be focusing their efforts and time on. Busy business owners and entrepreneurs who are struggling to juggle personal, familial and professional roles, and parents who are trying to define their needs while taking care of their families will gain a ton of insight and wisdom from this episode! Alessandra Wall, Ph.D. is the Owner of Life in Focus Coaching. She is a wife, mother, Life coach, psychologist, CrossFit Coach and the Board Chair of Empower Charter School. Dr. Wall believes that life should be about thriving, not just getting by. She practices out of San Diego, Calif., and coaches working professionals and parents to find what is right for them and build the life they want to live. For more, visit http://www.lifeinfocussd.com. Article about attachment parenting: So What Happens When That Attached, High Needs, Fussy Baby Grows Up?! Join the Real Food Mamas on our second Q&A episode where we answer your questions about thyroid health in the postpartum period, food sensitivities in kids, and real food snack ideas. [5:38] Question #1: Can you discuss hormonal imbalances and Hashimoto’s that manifests postpartum and what to do about it? [20:02] Question #2: What do you do when your child becomes allergic to foods she used to enjoy? What can cause extreme highs/lows in my child’s behavior? [32:48] Question #3: What are healthy snack ideas that pack a lot of calories for nursing mamas following a real food diet? try the chocolate, coconut & raspberry version! you can also try the blueberry version! Join Stephanie and Aglaée as they answer your questions this week with their first Q&A episode! Stay tuned for lots more question/answer sessions in the episodes to come! [9:05] First Question: What are some ways to prepare liver? What are good types/brands of tea? What are your favorite brands of sardines? [19:03] Second Question: How do you avoid processed foods during pregnancy? Any tips for managing the first trimester? How should your balance of carbs, fat, and protein look like during pregnancy especially if you follow the paleo diet? [28:39] Third Question What are your thoughts/recommendations on Group B Strep? Besides a probiotic, is there anything else we can do diet-wise to treat and/or prevent it? Is there a specific strain of probiotic that might be more effective than others? Join us on episode 7 where we interview Chris Kresser, a functional medicine practitioner. We discuss a fascinating theory about why preconception/prenatal health is so important, the best superfoods, supplements, and nutrients before and during pregnancy, the benefits of baby-led weaning versus pureed foods, the controversy regarding introducing allergenic foods early to avoid allergies later in life, and why self-care is so important for moms! Join us on episode 6 as we talk openly with Gail Root, a pre and perinatal psychology and health expert, about what many moms really experience after childbirth. From the baby blues to postpartum psychosis, Gail helps us all understand what postpartum mood and anxiety disorders are, signs/symptoms to look out for, how friends/families can best help new moms, why these conditions are so under-diagnosed and under-treated, treatment options (including those suitable for breastfeeding women), and a ton of valuable resources! Please listen and share this episode with as many people as you can. You can help us increase the awareness of this issue and make sure moms get the support they deserve. 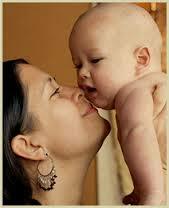 Dr. Thomas Hale, Breastfeeding and Mother's Milk. What are the first few months postpartum REALLY like? Steph and Aglaée get vulnerable and discuss their personal struggles, crazy thoughts, rollercoaster ride of emotions, and strategies for surviving the newborn phase and first few months. If you're a new mom, you'll resonate with the stories on this episode. If you're an expecting mom, you'll get a sense of what to expect. Join us as we share our eye-opening, humbling, real-life experiences. [0:00] Recap on last episode and need for more information about postpartum depression and anxiety disorders on this podcast. [1:32] Announce next show's expert, Gail Root, a pre & perinatal psychology and health expert. [1:58] Fact of the day - Postpartum support in other countries. "The most difficult part of birth is the first year afterwards. It is the year of travail - when the soul of a woman must birth the mother inside her. The emotional labour pains of becoming a mother are far greater than the physical pangs of birth; these are the growing surges of your heart as it pushes out selfishness and fear and makes room for sacrifice and love. It is a private and silent birth of the soul, but it is no less holy than the event of childbirth, perhaps it is even more sacred." In this first episode of Real Food Mamas podcast, Stephanie and Aglaée introduce themselves and share their own struggles with fertility. They discuss what the show will and will not be about, how the show will flow, future topics, and experts they will be interviewing. It's a must listen!